Zimbabwe's former deputy prime minister, Arthur Mutambara, last week slammed newly-installed President Emmerson Mnangagwa, saying his national vision lacked depth and substance. The robotics professor and Oxford scholar even went on to declare on Twitter that there is no new dispensation "yet" in Zimbabwe, contrary to the much-hyped message saying so by Mnangagwa's administration. Speaking at the just-ended CEOs Africa Round Table conference in Victoria Falls last week, Mutambara - who served as late MDC leader Morgan Tsvangirai's deputy in the coalition government with now ousted Robert Mugabe - said Mnangagwa's vision and strategy lacked national approach and appeal. "What . . . Mnangagwa said (in his speech focused on shared national vision, among other issues, he presented the previous day) yesterday was shallow," Mutambara said. "Zimbabwe does not have a shared national vision," he insisted. Mutambara argued that Mnangagwa's vision was that of Zanu-PF, which is not shared by the nation. 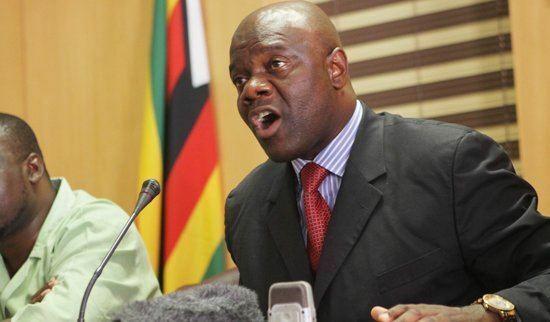 "The vision must not be from one party (Zanu-PF) and be driven by the nation," he said, adding that "I know Mnangagwa is the president, but he is from a political party," Mutambara said. He went on Twitter to say: "A shared national vision requires NEW political, social and economic values across the nation (A new value system), which include: inclusiveness, tolerance, democracy, freedom constitutionalism, integrity, meritocracy, equality, fairness, entrepreneurship, creativity, innovation, excellence, technology savvy, ubuntu, continuous learning, & winning habits." He added: "A new dispensation is NOT declared but earned. We are NOT there yet." Mutambara said its time the country's leadership "eliminates reckless talk". "Tell us your growth projections and assumptions. Your aspirations. . . must be anchored on substance and the numbers. Let's start measuring things differently from the traditional," he said. "Let's understand our numbers and potential. Let's talk about regional and global competitiveness," Mutambara said, adding that Mnangagwa's goals must be "specific, measurable, attainable and time-bound". Mnangagwa, in his presentation at the conference, had said "we can rebuild Zimbabwe through a shared national vision. "Zimbabwe is ours together. We should exploit forward and backward economic linkages," he said. "We should at Sadc, regional and global integration," Mnangagwa said. He added the mantra "Zimbabwe is open for business" and "all capital is welcome in Zimbabwe, domestic and foreign". But Mutambara argued that the president's vision and strategy are "too general". "Let's have the numbers. What we want is to do things effectively. Let's come up with a new matrix. Also, understand the role of geology. Recently, you were in Davos. Let's dream to be in the top 40 of World Economic Forum's Global Competitive Index," he said. "Our agenda for 2040 must be all inclusive; it must include all political parties...," Mutambara argued.